In order to keep pace with never ending demands of clients, our company offers Insulation Rubber Sheet for hotels , hospitals , offices & as well as for plants. Deltaone offers complete range of rubber sheets, according to different requirement offers a variety of material rubber sheets, we produce all kinds of rubber products according to customer\'s demands. Manufacturer gaskets, etc. 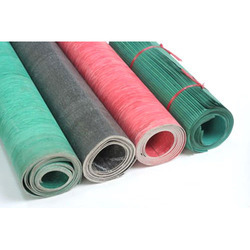 Rubber sheets reinforced with cloth or wire. - Color: Black, green, red, yellow, etc. 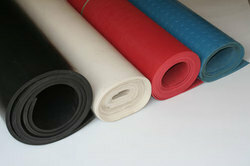 We are engaged in providing an entire range of Asbestos Rubber Sheets. Made from Chrysolite Asbestos Fiber with Synthetic & Natural Elastomers and Inorganic fillers. Excellent sealing in wide range of industrial applications under low & medium stress conditions & is suitable to seal off Air, water, Steam, saline solution, alkaline, ammonia & mildly aggressive.